Colonization with Cutibacterium acnes does not differ significantly between patients with acne and healthy controls, with phylotype IA strains found predominantly in patients with acne, particularly in patients with erythromycin resistance, according to the results of a study conducted in France and published in the Journal of the European Academy of Dermatology and Venereology. The investigators sought to compare skin colonization with C acnes in patients with mild to moderate acne vs healthy controls. In addition, they evaluated the use of a Myrtacine® (Ducray Laboratory, Lavaur, France)-based cream on C acnes total population and anti-bioresistant Cutibacteria in patients with acne. grades 2 to 3) and 24 age- and gender-matched healthy controls were enrolled in the study. 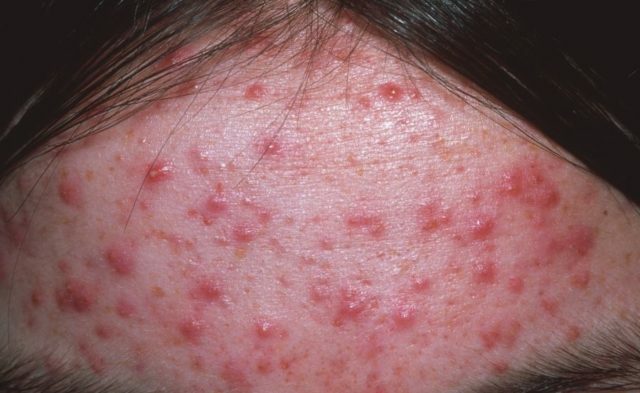 Patients with acne presented with ≥5 papules and pustules on the face and ≥6 closed and open comedones on the face, which included ≥3 on the forehead. The healthy control group comprised individuals who were free of facial or dorsal acne, as well as of any facial dermatosis, with no history of acne or acne treatment. A total of 3 visits were conducted in patients with acne: at study inclusion, intermediate (D28±32 days), and at the study conclusion (D56±7 days). The study product was applied 2 times daily on the whole face after cleaning with a hygiene product. Forehead strip samplings were carried out for microbiologic analysis of comedones by colony-forming unit (CFU) counts of global C acnes, as well as erythromycin-resistant (EryR) or clindamycin-resistant (ClnR) populations of Cutibacterium and determination of phylotypes by the MALDI-TOF (Matrix-Assisted Laser Desorption Ionization-Time of Flight) technique. The main study outcome was the comparison of the number of CFUs of C acnes and total C acnes in healthy controls vs patients with acne. Overall, only 2 species belonging to the Cutibacterium genus were recovered: C acnes and C granulosum. Mean CFU (culture) and genomic unit (GU) measurements (via quantitative polymerase chain reaction [qPCR]) of C acnes loads demonstrated a high total colonization by the species in healthy controls (5.94±1.01 log [CFU/strip] and 5.62±0.76 log [GU/strip], as well as in patients with acne (6.33±0.19 log [CFU/strip] and 5.62±0.71 log [GU/strip]), with no significant difference observed between the groups. EryR strains of C acnes and C granulosum were detected in 56.7% of patients with acne at baseline and in 54.1% of healthy controls, with no significant differences reported between the two groups with respect to bacterial load. ClnR strains of C acnes and C granulosum were also detected in both patients with acne and healthy controls (10% vs 12.5%, respectively). Following treatment with the Myrtacine®-based cream in patients with acne, no change in total C acnes load was detected. However, a significant decrease in EryR Cutibacteria, reduced porphyrin production by C acnes, and a decrease in the severity of acne (per GEA) were associated with reduced retentional and inflammatory lesions in patients with acne. The investigators concluded that the use of a Myrtacine®-based cream in patients with acne significantly reduced the level of EryR Cutibacteria in vivo and improved lesions. 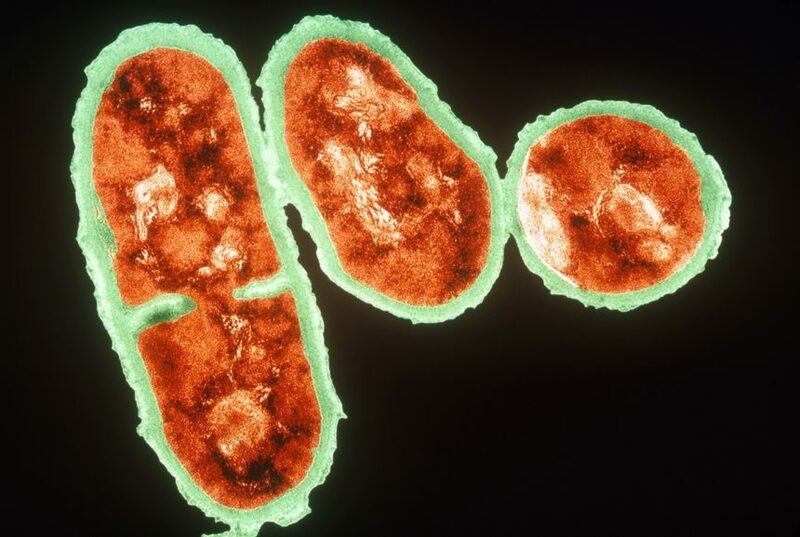 Future studies of other bacterial species, such as Staphylococci, might be of interest. In addition, the use of a Myrtacine®-based cream to reestablish a balance between C acnes phylotypes and potentially modify C acnes virulence factors warrants further exploration. Pécastaings S, Roques C, Nocera T, et al. Characterisation of Cutibacterium acnes phylotypes in acne and in vivo exploratory evaluation of Myrtacine®. J Eur Acad Dermatol Venereol. 2018;32(suppl 2):15-23.